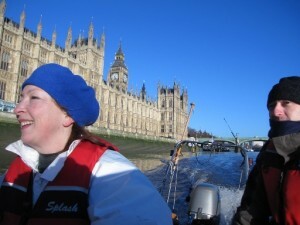 Driving the boats does not excite everyone (it is a lot of extra responsibility) but many of us just love it. And with the right training, practice and qualifications there is no reason you shouldn’t be able to become a boat driver. Here is how to do it. 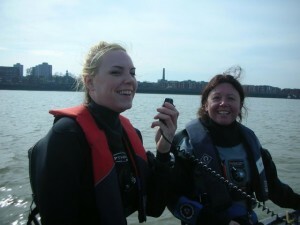 The club runs the BSAC Boat Handling course. This is run over a weekend and gives you a basic grounding in handling powerboats, navigation, chart work, tides and boat care. 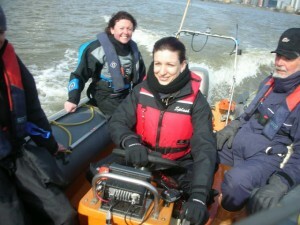 Clidive has ten Boat Handling Instructors and we usually run four courses a year on the Thames. We carry oxygen on both our boats and it is important that we have as many people as possible qualified to use it. Almost every diving-related injury is helped by administering oxygen. On the BSAC Oxygen Administration course, you will learn how to our O2 equipment to provide first aid to a diver with suspected decompression illness, injury or shock. We will also teach you CPR (or refresh your skills) and show you how oxygen makes CPR more effective. The course is practical and fun, involving lots of practical scenarios. Each of our boats carries two VHF marine radios to allow us to talk to each other, other boats and the coastguard. 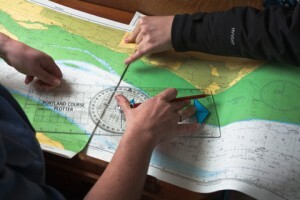 To use a VHF radio, you need to do an online course and exam. We have an inhouse RYA instructor to examine you. You will learn how to operate a radio using the right lingo and make MAYDAY radio calls. It is very interesting and good fun and you will become a licenced VHF radio operator. Once you have done the Boat Handling course, you can drive our boats under the supervision of one of our boat handling instructors to build up your seamanship skills. Once you have experience in a variety of conditions, you can take the BSAC Diver Coxswain examination where your boat handling skills will be assessed by one of our three Diver Coxswain Examiners. Once you have all these qualifications you can apply to the Diving Officer to be ratified as a Clidive coxswain and be able to drive our boats without supervision.